Take your eyes off the pothole ridden minor roads of the former DDR and chances are you’ll be looking at something concrete that was built by the Soviets. 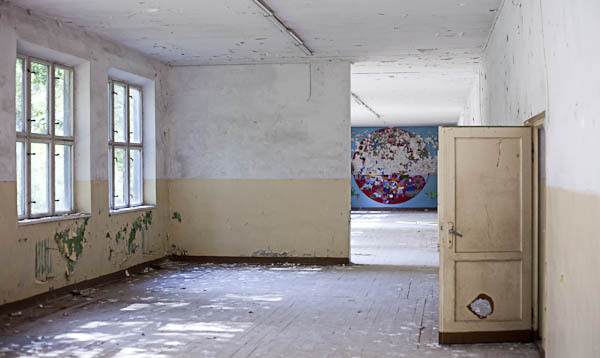 My introduction to the remains of the Soviet Union came in 2008, with the Beelitz-Heilstätten sanatorium providing an ample opportunity for a day of roaming around the vast, derelict campus, taking photos of the peeling paint and lnely chairs. 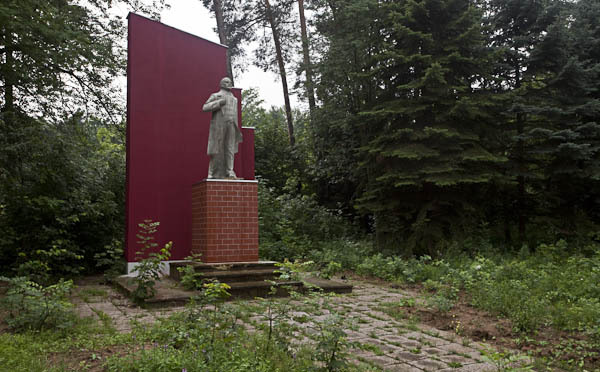 Although at the time I visited, I understood little of the involvement of the Soviet Union in this complex’s history, my interest has evolved and I’ve learned of the Sanatorium’s footnote as the ultimate destination for the DDR’s president Erich Honecker as his country collapsed into westernisation. 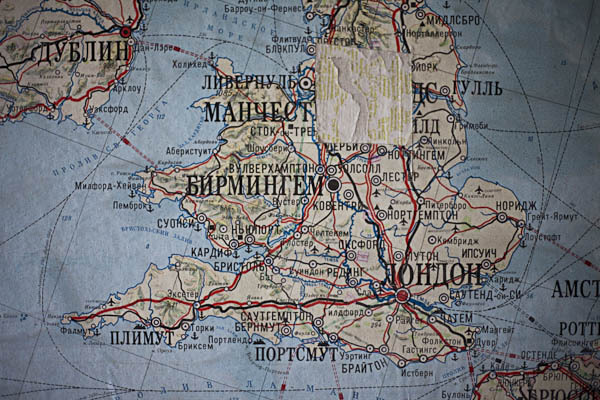 As my travels across Europe have expanded, I often find myself hunting out Soviet remains when planning trips. There’s usually an airbase, bunker, accommodation complex, hospital or barracks when you’re looking at the areas around large Eastern European cities. Delving into the countryside where you might have a 3 hour drive from a city can yield some lesser known locations but it’s very hit and miss. It’s the difference between the East and the West that is so fascinating. 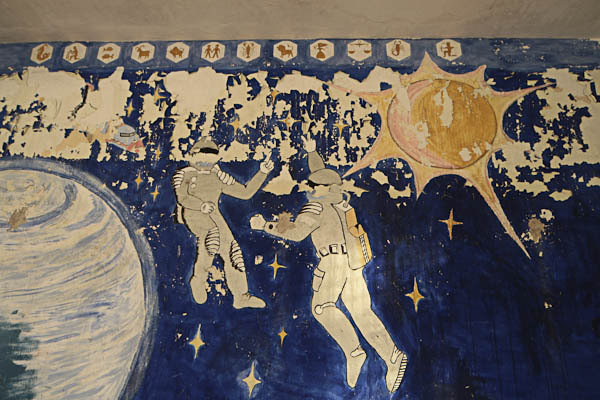 The contrast of capitalism and socialism, the development of the largest state in the world set against a backdrop of the space programme and the Cold War, supported by staggering imagery and intense propaganda convincing the subjects of the state that this was the right way, the only way. 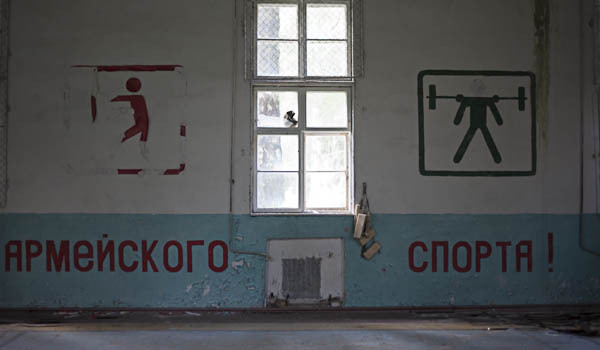 The volume of ruins in former Soviet states such as East Germany and Poland are staggering. 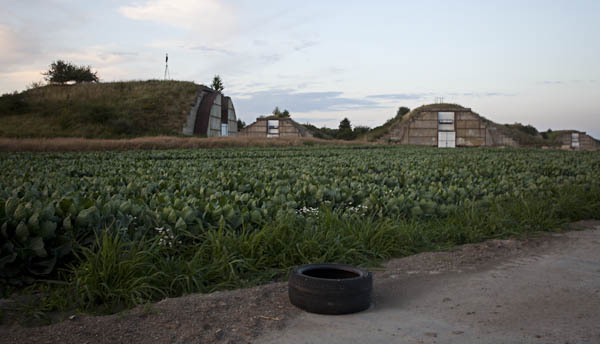 Military bases litter the countryside along with various other derelictions. There’s usually a surprise or two along the way, such as people living in the ruins, or playing paintball. or even golf. On one occasion in Germany we ambled down a side road on a base and had to hastily dive into bushes as a 4×4 roared past, assumedly driven by somebody that had taken the initiative to take ownership of the buildings and use them for their own purposes. These ruins are as much a part of the scenery for the locals as the trees and the forest. Many sites were abandoned hastily when the state collapsed, with the relevant local governments more interested in ushering the directionless soldiers out of their countries than they were in having any ordered and properly compensated for exit strategy. Essentially, they just walked out one day. 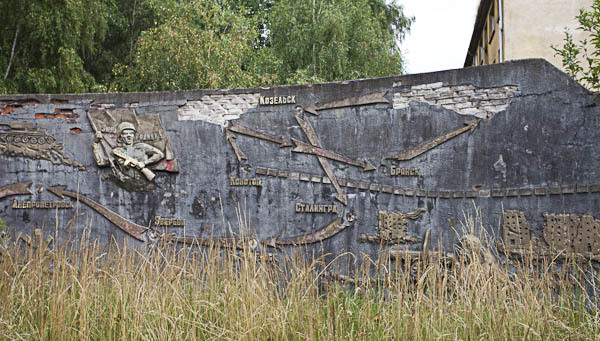 In some instances the locals knew nothing about the bases except that they existed. As homes to nuclear missiles, the secrecy surrounding these bases was so great that the builders were shipped in from Russia and the missiles shipped in at night along back roads. Left to decay in the countryside, there’s often the feel of the ubiquitous UK asylums of the late noughties. 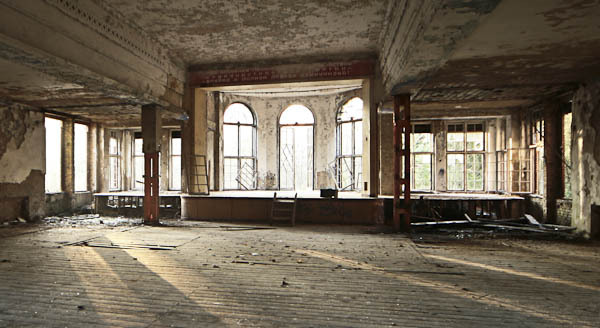 the creaking floorboards and peeling paint of the institutions are replaced by concrete endlessness. Repetitive, identical rooms are synonymous with the uniformity of the state that presided over these units. As such, bases often feel the same as the last, the only identity and difference being in the statues, memorials and geography of each individual site. 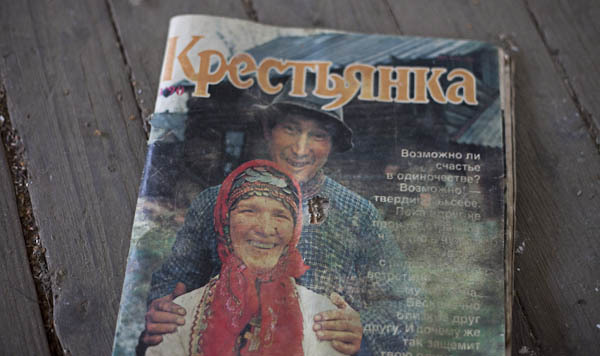 The odd bit of literature was left behind too, smiling Soviets in their state provided homes, apparently enjoying the poverty the state washed over everybody. I guess nothing else was shared? The key to enjoying these sites is to detach from the identities you assume for these spaces and to see them for what they are now. Giant, open spaces ready for a new identity to be sculpted for them. Some are being turned into apartments, others are being torn down, leaving vast plateaus in the middle of anonymous forests. In 100 years time these will be concrete shells with a less relevant and contextualised history, valued for something else, whatever they’ve become. Many airfields had hardened shelters built for the planes – these are obsolete except for those taken over as barns and server rooms. The space around them can be used to grow cabbages. 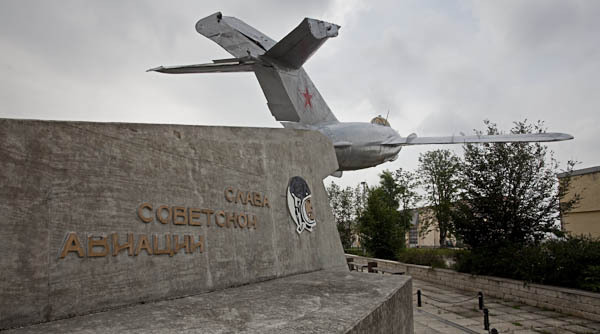 Maybe in years to come the identity of these as aircraft shelters will be forgotten, young Germans and Poles incredulous at the idea of Russians occupying their countries and using their land for military purposes. Empires fade and collapse – they’re not forgotten completely though. The Roman Empire still has remains to this day, largely due to the lack of ability of anybody to pull down structures such as the Collosseum before they became romanticised. Preservation eventually becomes more of a priority and and the maintenance of a history becomes somebody’s job. In the meantime, the memory of Soviet occupied EU States is only really going to last as long as it’s survivors. Maybe that’s what they want? Subscribe to comments with RSS or TrackBack to 'The Soviet Presence'. love the russian spelling of birmingham. much better than the english spelling. I think we should adopt it and change all the roadsigns around the M6. Some really good finds there, well presented too. It’s definitely a region I want to visit in the near future. Thanks sir, anywhere in particular? Germany has a particular vibe, very different to Poland. I guess you found the Baltic states different too? just a small question: which year were this pictures taken? If I may correct you: Poland or the GDR were not “Soviet States” the were independent countries. As independent as NATO countries were/are from the USA.